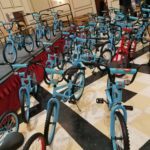 More than 500 BGE HOME employees and volunteers recently came together over two days to build 72 bikes for local YMCA outdoor and bike safety programs. 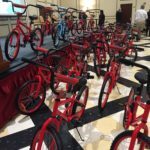 The completed bicycles will be donated to the YMCA of Central Maryland’s Druid Hill location, to be used for West Baltimore youth. 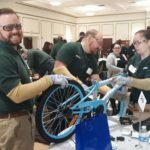 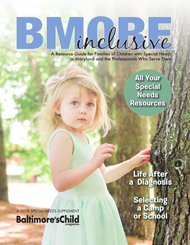 The bike build workshop – a partnership between the YMCA of Central Maryland, Business Volunteers Maryland, Leaders Institute, and BGE HOME – was a part of the BGE HOME team’s annual Town Hall event.